The new Jandy Pro Series White LED lights are available in both Daylight to enliven your pool or spa at night with the bright, energizing illumination of natural daylight, or Warm White to add richness and a soft, inviting glow similar to incandescent lights. 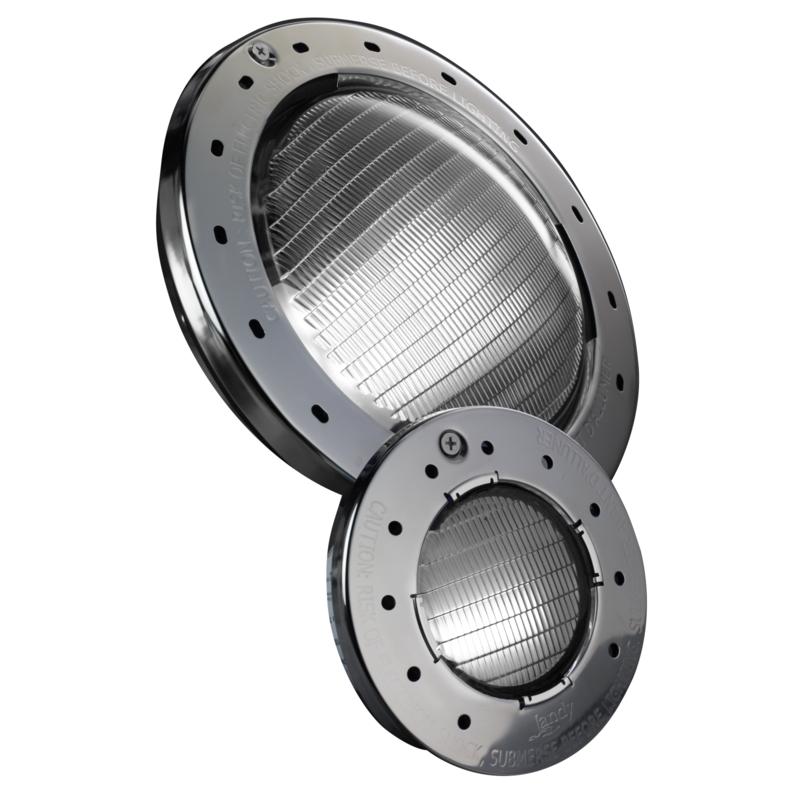 Highly energy-efficient, these lights use only 18 to 65 watts of power, come in 120V and 12V versions, and are ETL listed (approved) for installation in Jandy as well as in most leading competitors’ niches, making them a versatile, safe, and compliant lighting solution with virtually any power supply or niche - existing or new. Daylight—With a color temperature of 5000K, the Daylight option provides refreshing illumination of the pool, much like daytime sunlight, and will appear brighter than Warm White lights, and to some, slightly bluish. Warm White—With a color temperature of 2700K, this light provides a comfortable and soothing light similar to incandescent lights. Warm White lights will often match the color of landscape lights, where warmer light is preferred for illuminating greenery, or providing a soft glow for architectural uplighting. One Light Fits All—Compatible and compliant for use in all Jandy and most competitive niches—both color temperatures maintain the integrity of the LED lights as a pool safety feature. 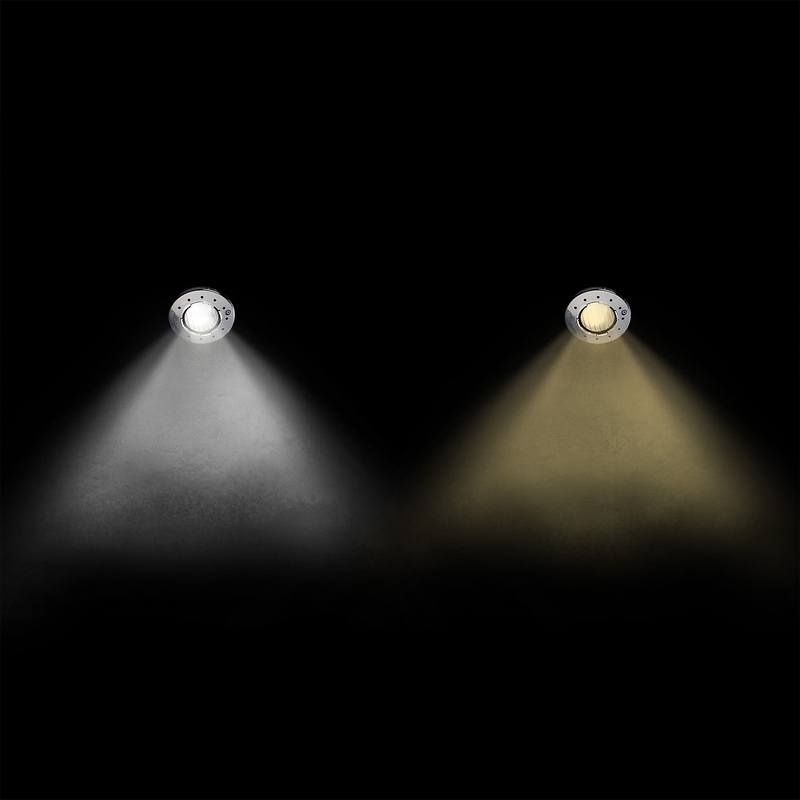 Shine Bright—Easily upgrade incandescent lights while maintaining the equivalent brightness of 100w, 300w, and 500w illumination.